Lately, the forthcoming adaptation of the popular Dead Rising game series has got the official list of actors who will take part in it. Besides that, in one of the recent interviews, the motion picture’s director - Zach Lipovsky - has revealed the exclusive details about the future Dead Rising movie. But first things first. So, the Dead Rising cast includes such celebrities as Meghan Ory (Supernatural, Smallville), Dennis Haysbert (Jarhead, Far from Heaven), Virginia Madsen (CSI: Miami, The Number 23) and Keegan Connor Tracy (Final Destination 2, 40 Days and 40 Nights). And Jesse Metcalfe, who’s famous for the Desperate Housewives TV show and John Tucker Must Die movie, has been appointed on the role of protagonist. According to Zach Lipovsky, this game series will bring a lot of fresh energy, which he hasn’t seen in the similar horror films before, to the future adaptation. The Dead Rising movie will become some kind of a motion picture about Indiana Jones, but only including zombies. “The idea that you can be bitten and remain human as long as you take your medicine every day is very interesting and dramatic. Similar to the social stigma of living with HIV. Another very cool element from the game is the zombies remember a little bit about their previous lives. There is something really haunting about seeing a zombie cop randomly firing his gun, or a zombie mom pushing a stroller. 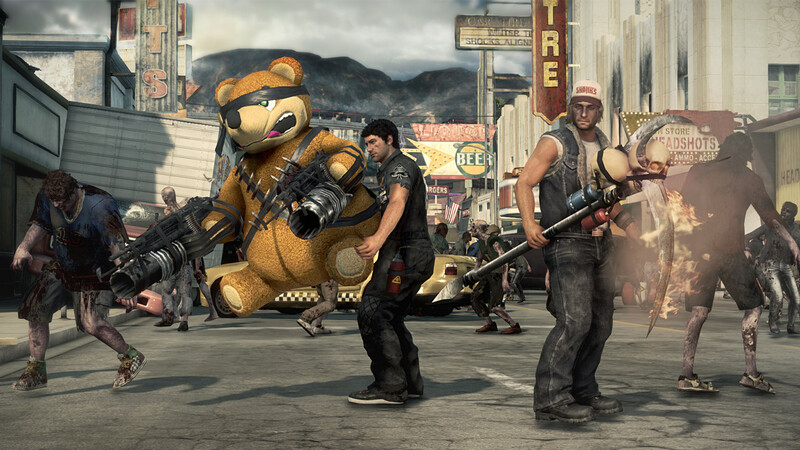 Finally what I love in Dead Rising is the city is locked down, but the rest of the world is fine. Families are watching the zombie apocalypse on TV while eating dinner like it’s the Super Bowl”, - the director has stated. Also, Lipovsky has said that the Dead Rising movie won’t be a straight video game’s adaptation, but it will meet all the standards of this franchise. The project will tell a story, which takes place in the period between the zombie outbreaks in the Fortune city and Los Perdidos. Moreover, the director promises to introduce some totally new characters to the audience. Firstly, the Dead Rising movie is planned to be released exclusively on Crackle in North America. On this digital service, it will be launched as a full-length motion picture, which will last 90 minutes. Later, the project will hit other platforms ((DVD, SVOD, VOD and TV), but as an episodic series. Let us remind you that you can read our review of the third part in this survival horror series by following this link. What do you think about the Dead Rising cast? Would you like to watch this adaptation?